About a week ago I was nominated for the Liebster Award. Yup, I had to google it too! The word Liebster is German and means dearest or lovely. The award is given to newer bloggers with less than 200 followers and provides a nice way for bloggers to meet. While this isn't a real award, it was still nice to be recognized. So if it isn't a real award, what is it? 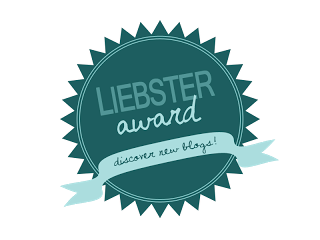 I suppose you could call the Liebster a bloggers chain letter. I am not much of a chain letter person, but I didn't want to be a party pooper either, so I am excepting this nomination from Christina at Home With My Tots. Thank you Christina for the blog love! OK so there are some rules that apply when accepting this award. Congratulations! You are under no obligation to accept, but I hope you do! 1. What is your favorite TV show? I have a few I really like, but right now it is probably So You Think You Can Dance. I also am in love with Downton Abbey. 2. Have you ever traveled to another country? Yup. Several times. 3. Name something you love about yourself? Well hard to answer this while being humble, but I guess I would have to say my hair. I love the color and sheen it has. 5. Who is your favorite President? I can honestly say I have never thought about this before! I do like how humble and honest George Washington was. Our nation would be very different if he hadn't been so humble. 7. Do you believe in ghosts? No I don't believe in ghosts, but I do believe in spirits (angels and demons) This answer will probably surprise my family. 8. If you had only one day left to live and you knew about it what would you do? Spend it with my family and not let go of my kids. 10. Do you fold your pizza in half, keep it flat or eat it with a fork and knife? I float back and forth between folding and eating it flat. Depends on where we get it. 1. I love QVC, especially at Christmas time. 3. I have watched General Hospital since I was 12 years old. 4. I have pierced ears, but never wear earrings. 5. I love to travel. I have been in 9 different countries and can't wait to go to more. 6. I hate being pregnant...I mean can-not-stand-it...but I looooove babies. 11. I have been married for almost 13 years, it hasn't always been easy, but I have never regretted it for even a second. 2. In what Country do you live? 5. If you could go anywhere in the world, where would it be, and with whom would you go? 6. If you could pick a different point in history to live when would it be? 7. Do you scream when you see a spider? 8. Do you dye your hair? 9. Are you a city mouse or a country mouse? So there you have it. Be sure to go check out all the other blogs I mentioned. If you haven't already, I would love it if you followed me! That was really fun!! You DO have great hair, but really you are beautiful all-around! I suspect I won't be getting to this but I'll share that I just dyed my hair. No one (even Derek) has mentioned noticing...which was the goal...even if some gray is still visible. I would love to go to see the Sequoias with Derek. I'd like to live in the 1800s...later part...or early 1900s. Meredith, Thanks so much - you are so sweet to nominate my blog! I really enjoyed reading, and learning, so much more about you. On the random fact about learning as much if not more while homeschooling my children - I agree - completely! Can I just say right up front - country mouse all the way - however, the Lord has this country mouse living in suburbia - and I'm being stretched every minute of it...so many lessons to learn, lol. It was my pleasure to nominate you! I truly love reading your blog. :) FYI - I am a country mouse too.